Most traits are determined by dozens to hundreds of mutations, and even in a large sample like this one, their effect on survival can be hard to see, researchers said. 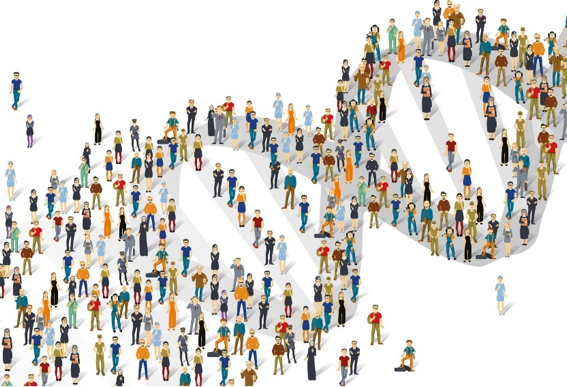 To get around this, they examined sets of mutations associated with 42 common traits, from height to BMI, or body mass index, and for each individual in the study, determined what value of the trait theywould predict based on their genetics, and whether it influenced survival. They also found that those genetically predisposed to delayed puberty and child-bearing lived longer —a one-year puberty delay lowered the death rate by 3 to 4 percent in both men and women; a one-year childbearing delay lowered the death rate by 6 percent in women. Did someone actually get funding for this?? I don't think that you need a study to figure something like this out, just a bit of observation and a dose of common sense. People live long because they didn't die of something else, so probably no genes for cancer, Parkinson's etc etc. Domesticated animals dont evolve. They develop. Human development has not been substantially influenced by natural elements for a very long time. "Alzheimer's disease and heavy smoking are less frequent in people with longer lifespans, suggesting that natural selection is weeding out these unfavorable variants..."
"This teleonomy is the quality whereby the process of natural selection creates and preserves traits that are seemingly fitted for the functional roles they perform. The processes by which the changes occur, from one generation to another, are called evolutionary processes..."
-Heavy smoking is not a natural phenomenon. Alzheimer's is most likely the result of immune systems overstimulated by diseases we catch from our domesticated animals, coupled with unnaturally-prolonged lifespans. Again, not natural. Artificial. Domestication from 1000s of gens of the exigencies of tribal technoculture. Academics need to admit this.